The National Center for Technological Literacy® (NCTL®) is reaching out and improving engineering understanding nationwide to help the nation realize its potential. The Museum of Science, Boston is the nation’s only science museum with a comprehensive strategy and infrastructure to foster engineering and technological literacy in both science museums and schools. The museum develops exhibits, programs, and curriculum that empower children to become lifelong STEM learners and passionate problem solvers. Through the advocacy efforts of the NCTL, we inspire to transform STEM education both nationally and internationally. Our engineering curricula (preK - 12), resources, and teacher professional development are designed to innovate for the reality of today’s educational landscape, combining the best in theory, research, teaching practice, and thought leadership. Wee Engineer channels preschoolers’ natural curiosity and creativity into structured problem solving. Designed as the first preschool engineering curriculum, Wee Engineer sets young learners up for success in school and life. 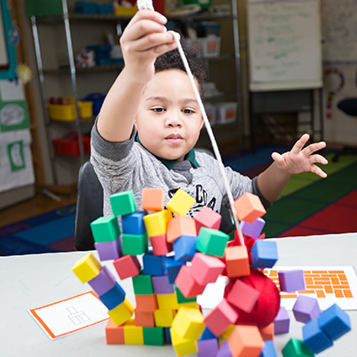 Four hands-on engineering challenges ease learners into the worlds of science and technology as they practice social, fine motor, cognitive, and language skills. They’ll learn that there’s more than one way to solve a problem, and that it’s okay to fail and try again. With Wee Engineer, show children that anyone, even the youngest learners, can engineer. Learn more about our preschool curriculum, Wee Engineer. EiE for Kindergarten inspires young learners to embrace the field of engineering before stereotypes about “who can engineer” take hold. This teacher-tested curriculum introduces engineering and the engineering design process in engaging and accessible ways for all young learners and educators. 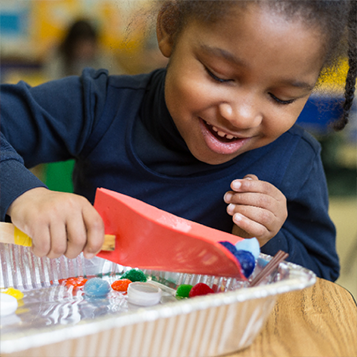 Two hands-on units align to kindergarten engineering performance expectations and connect with other subject areas to prepare children for success in later grades. Young learners are invited to practice the 21st-century skills they are already developing in social, emotional, physical, cognitive, and language domains. Learn more about our in-school kindergarten curriculum, EiE for Kindergarten. 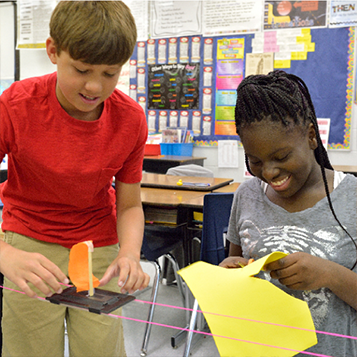 Engineering is Elementary empowers elementary students to become innovative problem solvers who think creatively as they identify and solve challenges in a real-world context. Twenty standards-aligned, teacher-tested engineering units build a foundation for STEM learning. Each hands-on unit is anchored in your science curriculum and designed to engage learners in ways that align with their learning style. With Engineering is Elementary, all students—including English learners, students who receive special education services, and those who have not flourished in traditional academic settings—can work together to find creative solutions and discover their inner engineer. Learn more about our in-school curriculum, Engineering is Elementary. 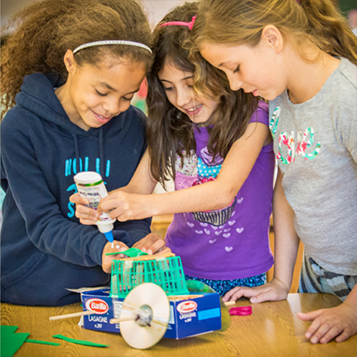 Engineering Adventures engages learners in grades 3 - 5 in fun, creative problem solving. Ten hands-on units are low-cost and flexible to meet the time and budget constraints of out-of-school settings, including afterschool and summer camp. Each unit centers on meaningful, open-ended problems with a global context. Learners find out more about the role engineering plays in their lives and the world around them as they’re introduced to real engineering challenges and asked to design solutions with an engineering design process. Throughout each unit, kids learn to collaborate, communicate, solve problems, and share their solutions with their peers. Learn more about our afterschool and summer camp curriculum, Engineering Adventures. Engineering Everywhere inspires learners in grades 6 - 8 to shape the world around them. Our twelve hands-on units were tested in afterschool, summer camp, and out-of-school settings and are proven to engage learners in innovative problem solving. Each unit begins with a Special Report video, which sets the context for the engineering design challenge and explores problems like food scarcity, prosthetics, and disease control. 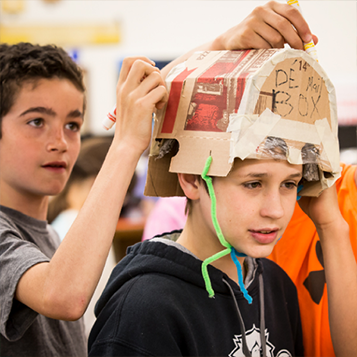 As learners work through our design challenges, they’ll sharpen 21st-century skills like critical thinking, teamwork, and communication, preparing them for success in school and in life. Learn more about our afterschool and summer camp curriculum, Engineering Everywhere. 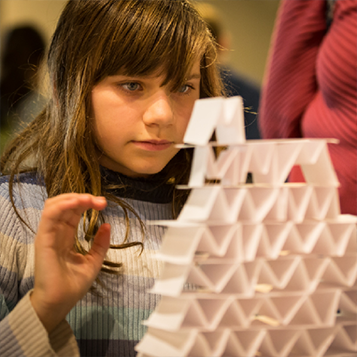 Design challenges capture the imagination of young engineers! These supplemental units are aligned to Common Core State Standards in Mathematics and tie common science and engineering topics to hands-on engineering design challenges. Each of three units (Amazon Mission, Everest Trek, and Stranded!) poses hands-on design challenges in an exciting adventure story that reinforces mathematical reasoning. Learn more about Building Math. 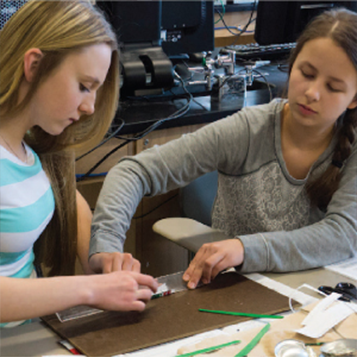 This groundbreaking curriculum, used in high schools across the nation, emphasizes the relevance of science and math concepts through real-world design projects. Students are guided in daily hands-on activities with four Engineering Notebooks. A complementary text, Engineering Connections, provides first-person stories from 30 practicing engineers and professionals in related fields that explain how their own work relates to the student’s activities. Learn more about Engineering the Future.